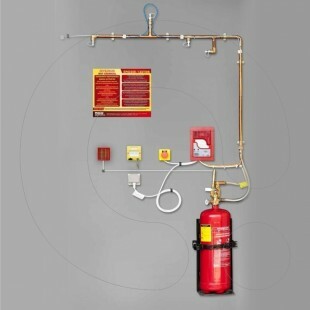 The main characteristic of System (B) is the lack of Fire Detection Panel. In this case, the detection is not affected by temperaturesensitive eutectic links but special type sprinklers. 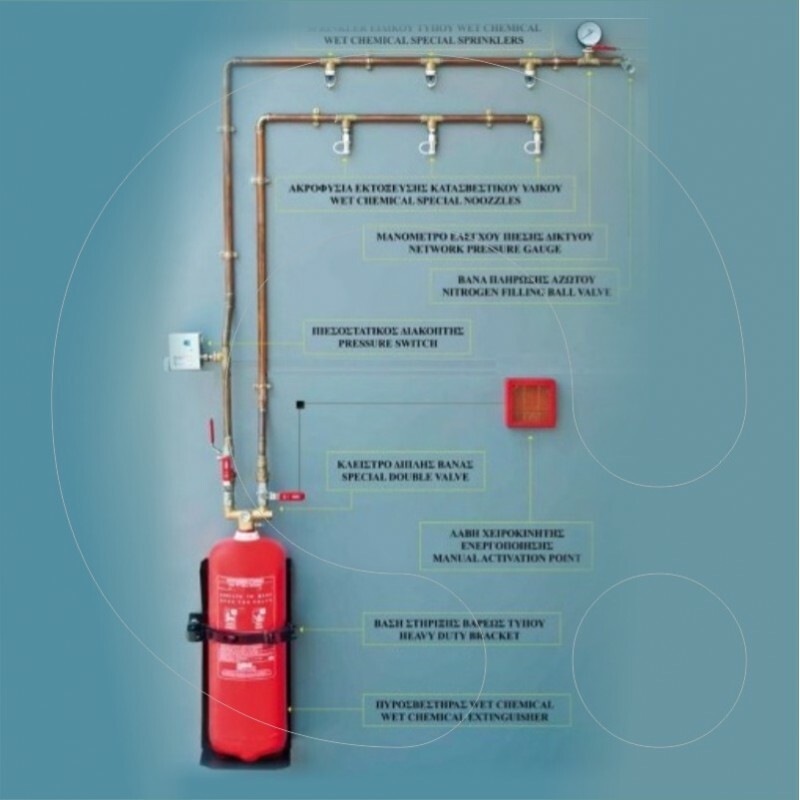 The main characteristic of System (B) is the lack of Fire Detection Panel. In this case, the detection is not affected by temperature sensitive eutectic links but special type sprinklers. In System (A) the release of the extinguishing agent takes place from the same tubing in both automatic and manual operation, while in System (B) there are 2 separate branches the first one which leads the extinguishing agent to special type sprinklers during automatic operation and the second one leads the extinguishing agent to special type discharge nozzles during manual operation. 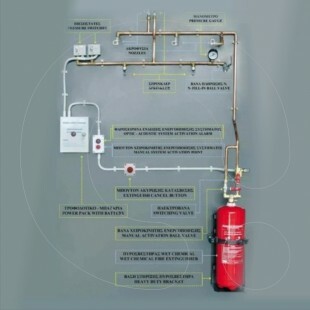 In this case, the network branch of automatic system operation should be pressed by Nitrogen gas at 18 bar so that the pressure in this branch is greater than the pressure inside the fire extinguisher that is 15 bar. 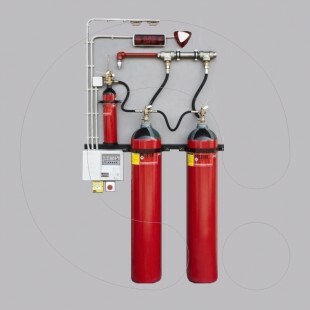 In this way, the extinguishing agent always remains inside the fire extinguisher because the pressure of the propellant gas inside the fire extinguisher is smaller than the branch pressure. In case of fire, the temperature-sensitive glass ampule of any sprinkler breaks and the pressure inside the automatic operation network branch is been dropped gradually. 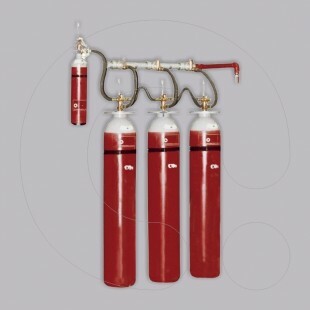 When the pressure of the branch becomes smaller than 15 bar, the pressure of the propellant gas inside the extinguisher will be able to lead the extinguishing agent from the fire extinguisher to the special type sprinklers from where the agent will be discharged. In System (B), the shut down of a) electricity and b) LPG-Propane is been done through a pressure switch. The pressure switch is been installed at any point on the automatic operation network branch and it is programmed to operate at 14 bar. 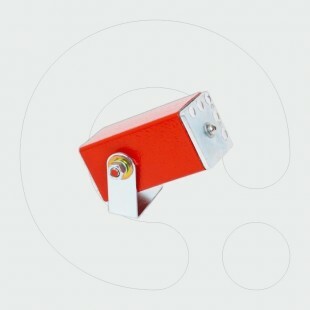 The pressure switch is been connected to a power relay that is placed inside the electrical panel of the kitchen so that in case of fire, when the switch gets activated, it activates the power relay that shuts down the electrical power and the LPG-Propane supply to the kitchen selected appliances/devices. In this case, the manual operation network branch is not pressed by Nitrogen gas. 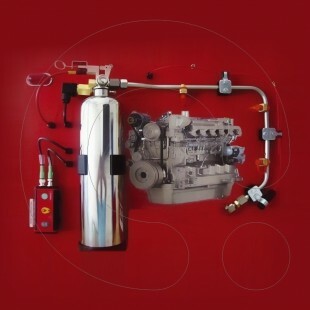 The release of the extinguishing agent is been done simply by opening the ball-valve (right one). This valve is always closed and only in case manual system activation it should be opened completely so that the extinguishing agent can be released and lead to the special type discharge nozzles from where it will be discharged. The interruption of the power supply and LPG Propane is been done through the pressure switch that is installed on the automatic operation network branch. 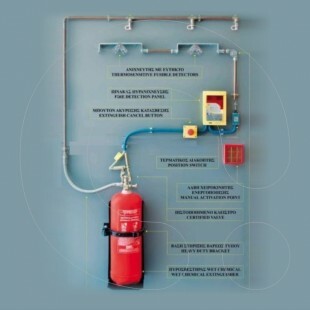 In case of manual system operation, when the extinguishing agent is been released, the pressure inside the fire extinguisher droops gradually. This pressure drop affects the pressure (18 bar) inside the automatic operation network branch which in turn drops gradually. This pressure drop activates the pressure switch which activates the power relay inside the kitchen’s electrical panel. As in automatic operation, the power relay shuts down the electrical power and the LPG-Propane supply to the kitchen selected appliances/devices. 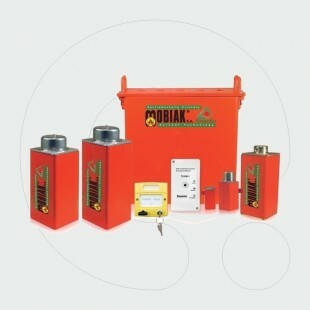 Fire Extinguishers with Anticorrosive Internal Paint of 20 l (25 kg vessel) capacity. 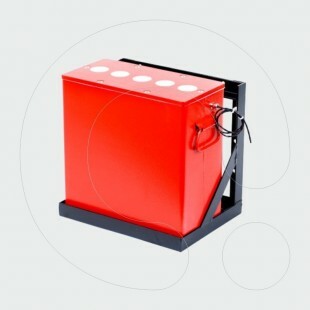 Fire Extinguishers with Anticorrosive Internal Paint of 35 l (50 kg vessel) capacity. 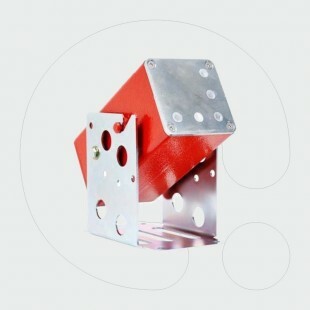 Heavy duty support base/bracket for mounting the Fire Extinguisher. New Cast Dual Brazen Union used for the connection of both 1/2'' ball valves. 4 High Pressure S.S 316 Ball Valves. 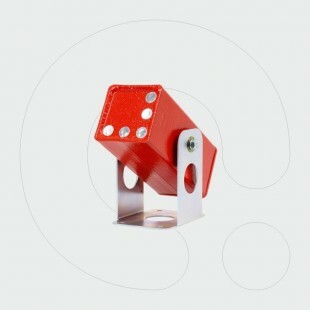 Special Type Sprinklers 93 °C, 141°C , 182 °C or 260 °C. Male couplings (1/2”x 3/8”) for connecting the nozzles with the pipe network. Special Type Pressure Gauge for Measuring the automatic Operation Network Branch Pressure.